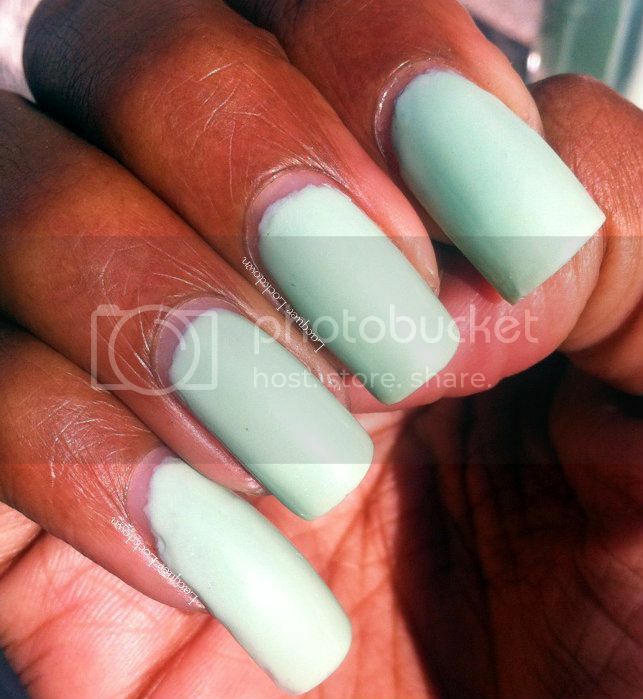 Mt Yu is a light creme mint green polish with an extremely subtle shimmer. It's actually a reincarnation of Yusan a polish that released right before my naturalization into the Elevation nation. I was a latecomer but I'm totally dedicated to Lulu and her lovely creations now! 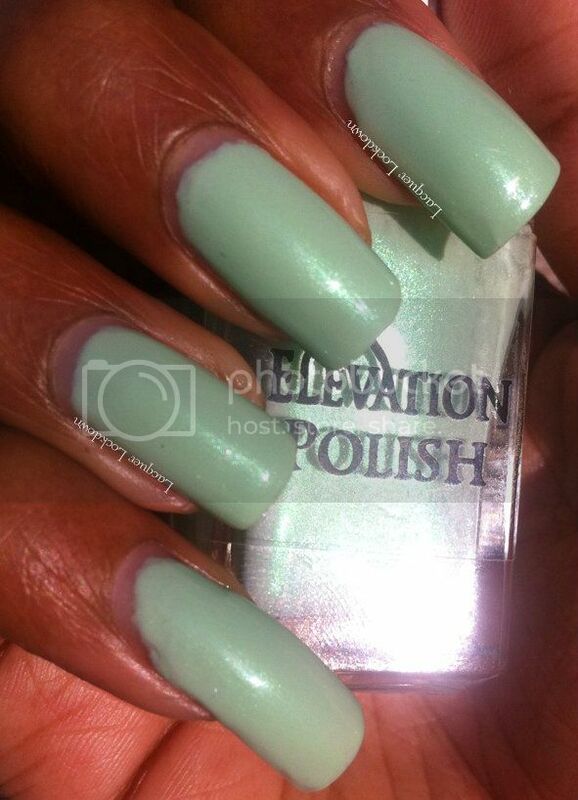 I have to say this plush is fabulous - opaque in three thin coats or two thick depending on your preferences.This next picture demonstrates how etheral this polish really is as sometimes it takes on the appearance of seeming almost white when in fact it's a very pale green. Hmm I don't know I think you might be able to with a tan! Gray Matter or Grey Matters...??? My Boy Toy Did It...On Sundays I Stamp!